Whether you ride downhill, cross-country or even CX – the Slate MTB Shoes will push you to get out and conquer your next challenge. Designed for those riders who never compromise on performance, the Ergo Grip 2 outsole features removable studs – designed to give great grip when you dismount and maximize mud clearance. The upper is thermobonded for a seamless construction and minimal pressure points, while the offset hook and loop fastener straps provide excellent heel support. The adjustable ratchet closure system helps you find a secure fit, even while pedaling. Synthetic leather and cycling mesh construction of the body allows for a brilliant blend of support, comfort and breathability, while the reflectors on the heel improve low-light visibility. A Hot Stuff insole provides excellent arch support. 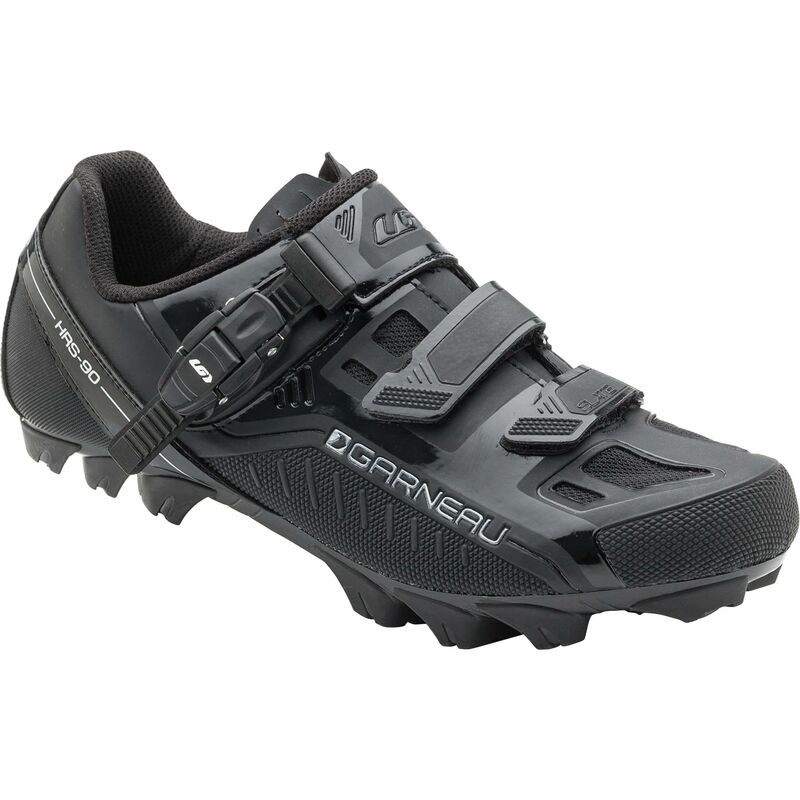 The shoes are optimized for use with SPD cleat systems.